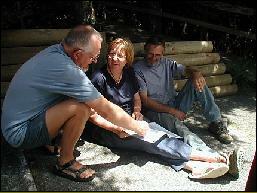 Ulla's sister and her husbond moved to New Zealand in 2000. 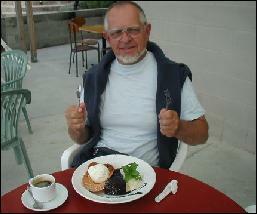 This was an opportunity for us to visit this exiting country. 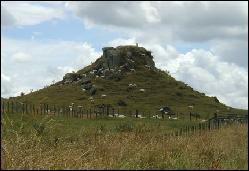 After celebrating Christmas the New Year (2003-04) at Anne and Ove in Whangarei, 190 km nonth of Auckland, we rented a car to drive around the North Island for 4 weeks on our own. 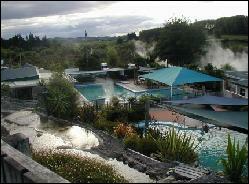 This is just a short list of the places we visited on this trip. 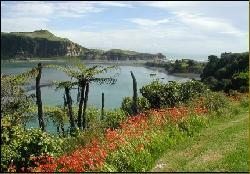 Anne and Ove run a Bed & Breakfast at "Totaranui". Anne and Ove is a good help in planning the tour. 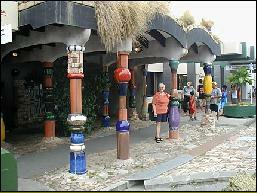 The Hundertwasser toilet in Kawakawa. 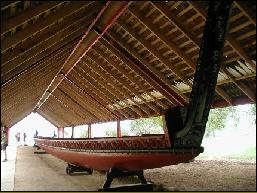 The large oceangoing Mauri canoe in Waitangi. 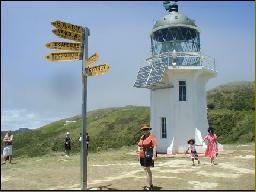 The solarpanel-driven lighthouse at Cape Reinga. 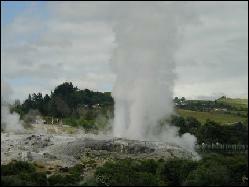 The big geyser in the Whaka-area in Rotorua. 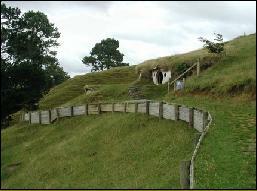 Hobbiton is the only set remaining from filming "The Lord of the Rings". 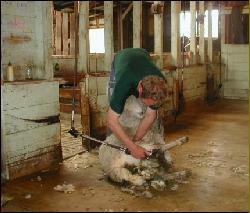 We had opportunity to see Sheep-shaering on a farm we came by. 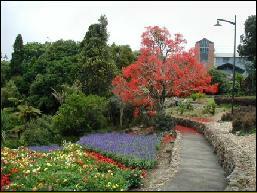 Gardens and parks with lots of trees and flowers. 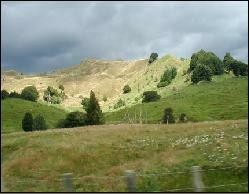 Fantastic views all over the country. Even on cloudy days, the sun can break through. 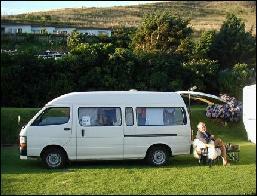 An elderly Toyota Hiace minibuss without seats, became our "home" during the 4 week tour. 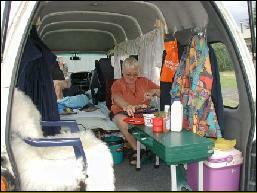 The interior was simple, two beds, curtains, table and chairs. The menu said "Just Desert", but it was a whole meal. 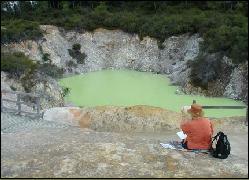 The thermal area at Wai-o-Tapu is really worth a visit. 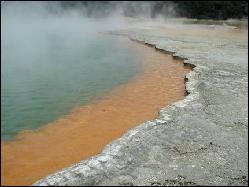 Allso the "Devils Bath" at Wai-o-Tapu has unique colors.